Arthur Tomie, a professor and addiction researcher at Rutgers University, and Barbara Zito, a creative writer and coauthor of scientific manuscripts, have pooled their talents to provide an unprecedented approach to the education of young adults about the phenomenon of drug addiction and the fascinating but hidden role played by cues that encourage drug-taking. The Sign Tracker Trilogy is a parable of sorts which conveys the emotions, hardships, and sacrifices of families and communities that struggle with the problem of drug abuse. 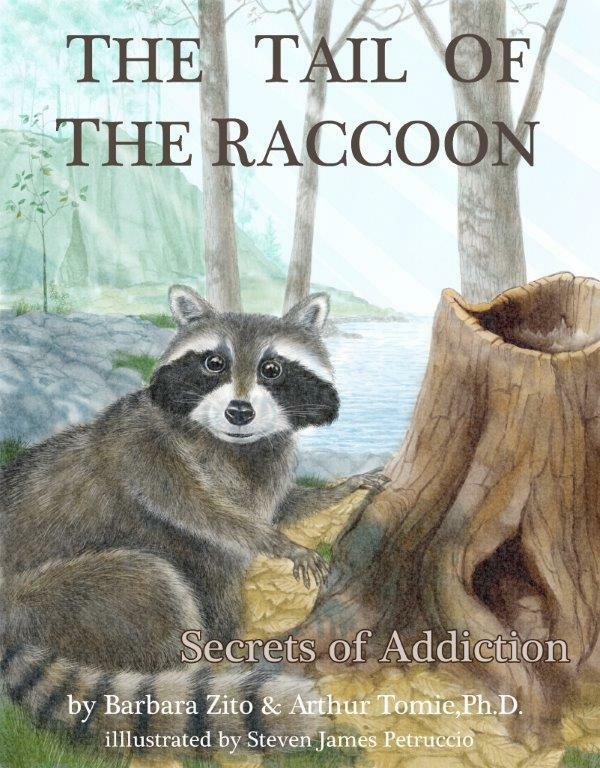 The raccoon, Lepus, represents the user who sinks into the abyss of addiction, but thanks to the caring individuals who surround him, he manages to survive and rise again. The target audience of The Sign Tracker Trilogy is primarily young readers and young adults. The Sign Tracker Trilogy is intended to be used as an educational tool for the purpose of prevention of drug use. However, because there is worldwide interest in the mysteries of drug addiction, these stories have a universal appeal that allows for a diverse audience. Young readers will be able to obtain valuable insights into the progression from drug use into uncontrollable drug abuse, while others may simply appreciate the adventurous tale in itself. This unique trilogy has the potential for distribution to schools, health organizations, drug abuse programs, and the general public. Each story is followed by an Educational Commentary which summarizes the lesson of the story and a Scientific Commentary which describes the basic research findings that form the basis of the storyline. Future plans include an illustrated version of each of the 3 stories of The Sign Tracker Trilogy, offered as a fully-illustrated e-Book and a hard-cover picture book.